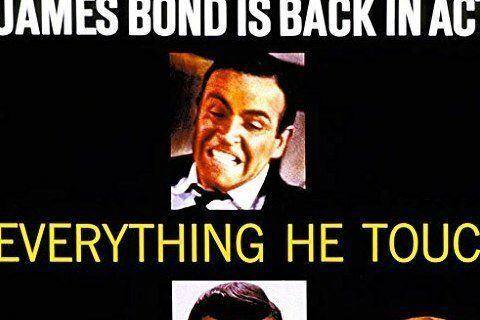 Third installment in the James Bond film franchise where 007 (Sean Connery) uncovers a plot to contaminate the Fort Knox gold reserve while investigating a gold magnate's smuggling. The film's budget equaled the preceding films budgets combined. It was the first in the franchise to win an Academy Award, earning Norman Wanstall a gold statue for Best Sound Effects Editing.